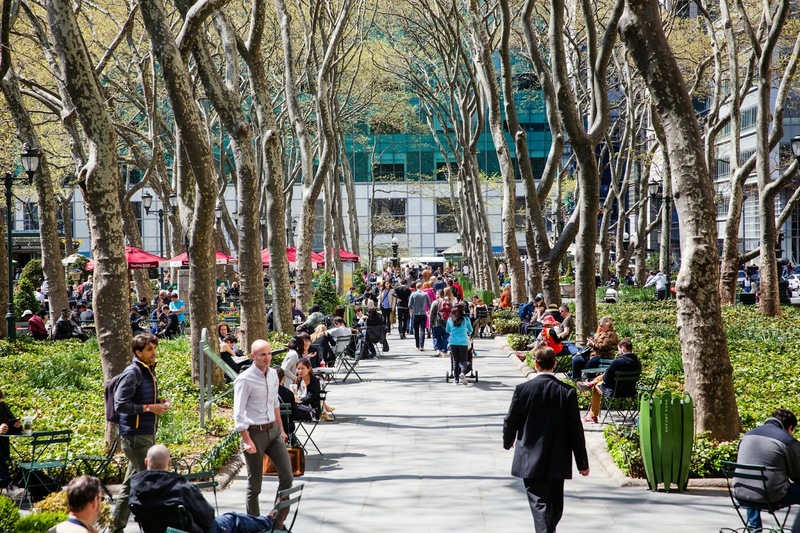 Bryant Park Blog: New for Spring: Join Us for Park Tours! New for Spring: Join Us for Park Tours! What is the history of this area, before the park was a park? How do you come up with your ideas for events? What is next in store at the park? Does the park offer tours? Until recently, the answer to the last question was "No." We've worked all winter to turn that "No" into a "Yes!" Starting April 8, you can join us for once-weekly free public tours of the park. You'll learn the answers to the above questions, and so much more. Tours are every Wednesday at 11am. Pre-registration is required; you may register here. For group reservations, private tours, and presentations to industry leaders, please go to our tours page for more information.